What is ‘The Machinist Super Shopfloor Awards’? 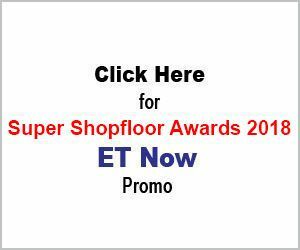 ‘The Machinist Super Shopfloor Awards’ is an awards platform created to recognise and celebrate the excellence achieved by Indian shopfloors in the discrete manufacturing sectors. Machie is the name given to the trophy awarded to the winner of ‘The Machinist Super Shopfloor Awards’. 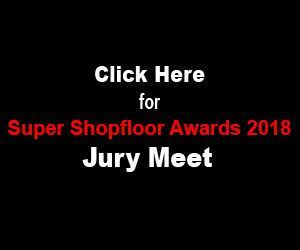 Who is the organiser of ‘The Machinist Super Shopfloor Awards’? 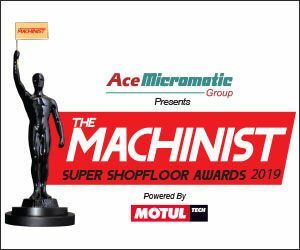 The organiser of ‘The Machinist Super Shopfloor Awards’ is The Machinist magazine, which is a leading magazine for the Indian manufacturing industry. The Machinist is part of Worldwide Media (WWM) – the magazine subsidiary of ‘The Times of India Group’ (BCCL). What is the credential of the Group in organising such awards platform? We have successfully organised four editions of ‘The Machinist Super Shopfloor Awards’ in the last four years with participation from some of the finest manufacturing brands in the country. Of course, as a Group, we have decades of experience in creating and establishing awards platforms for some of our leading special interest publications Filmfare, Femina, TopGear, Lonely Planet and so on! How do we create the nomination? It is very simple process. You just need to fill up the nomination form with all relevant details pertaining to the shopfloor being nominated and the category you are selecting. You may also provide supporting documents and images. Can we send one common entry across the Group / Company? No. The Awards programme is open to individual plants. Each plant can send entries across any or all the categories. For example, if a Company called ABCD LTD has three plants then each plant should send separate entries. In fact, these plants will also be competing with each other as they would with other plants. The turnover of my plant is Rs300 crore, but the Company turnover is Rs2000 crore. Can I send nomination in the SME segment? No, your entry will be considered for the Large enterprises segment as we will be considering the overall company turnover for the selecting the segment. No. Sending nomination/s is free of cost. You just need to bear the cost of creating and sending the nominations to us either through courier or hand delivery. Who will evaluate our nomination/s? Nominations will be evaluated by a team of eminent jury members representing the cross section of manufacturing. These experts bring a huge experience to the table in terms of their understanding of this industry. The names of the Jury will be communicated through our awards microsite and other relevant mediums on a regular basis. Is it mandatory to send photographs? Yes, as these will visually support your nominations. These could be photocopies of certifications, other awards, audit reports and similar documents. Can we send more than one nomination? Yes, sure. There is no limit to the number of nominations. How do we send a nomination for the overall winner category? No separate nomination is required for the same. Any shopfloor sending nominations in at least three categories will automatically qualify for the Overall Winner category. We will arrive at the winner by adding up the total points received by shopfloor across all the categories it has sent nominations. Obviously, the more categories you send nominations for the more your shopfloor’s chances of winning in the overall category! Our shopfloor has won previously, can we enter again? Of course, yes. However, your last year’s award will have no bearing on this year’s nomination in terms of evaluation. Our organisation is a public-sector company, can we enter? When is the Jury Meet? Can we communicate with the jury members? No. To ensure that the evaluation process is fair, objective and transparent, we do not allow nominees to communicate with the jury members in this context. Will your return our nomination/s? No, the nomination/s including the photographs and supporting documents will be retained by us. What about the data in your nomination? Will you share it publicly? Your data is completely safe with us and we will keep it absolutely confidential. It is shared only with the jury members and even they are not allowed to copy or share it in any format. Will the organisers make arrangement for our travel and stay for the awards? No. You will have to bear your own travel and stay cost. May 2019. Event date and venue will be announced soon. Where do we send the nominations?